According to the mainstream media, the boys surrounded and terrorized Native American activist Nathan Phillips. 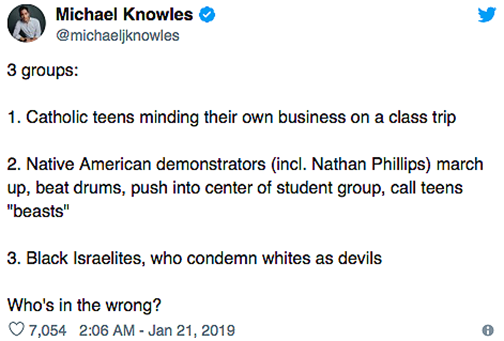 A video clip showed what the media described as a teenage boy wearing a MAGA hat blocking Phillips and staring him down. It was all untrue, of course – but that did not stop the mainstream media from going nuclear. “Boys in ‘Make America Great Again’ Hats Mob Native Elder at Indigenous Peoples March,” read The New York Times story. “The Catholic Church’s Shameful History of Native American Abuses,” the Washington Post declared. 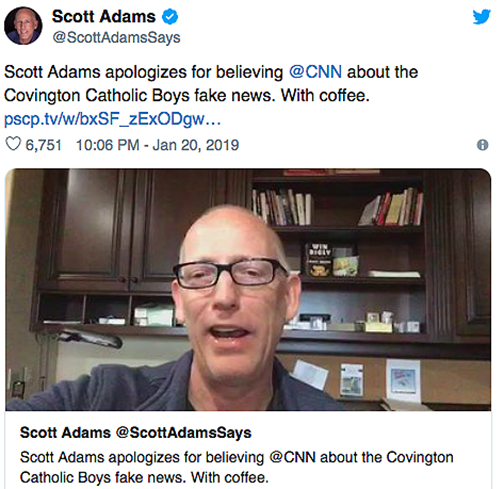 Even conservative outlets like the National Review turned on the Catholic boys. – without bothering to check their facts. 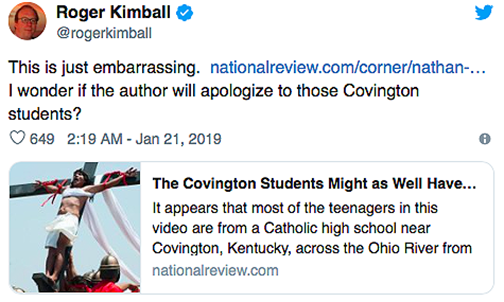 “The Covington Students Might as Well Have Just Spit on the Cross,” read a screed written by National Review Deputy Editor Nicholas Frankovich. “They mock a serious, frail-looking older man and gloat in their momentary role as Roman soldiers to his Christ,” he wrote. Seriously? The National Review compared this activist to Jesus Christ? Sweet mercy. “You give fa***ts rights,” the man shouted. And yet, that information was completely left out of the mainstream media news coverage. “Covington Catholic High School students surrounded, intimidated and chanted over Native Americans singing about indigenous people’s strength and spirit,” read the lead paragraph in Cincinnati.com. 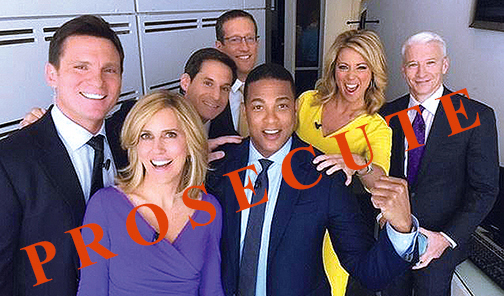 In context, it appears that what really happened on the steps of the Lincoln Memorial is that a group of Catholic school boys was targeted and harassed by grown adults just because they were white, Catholic Trump supporters. 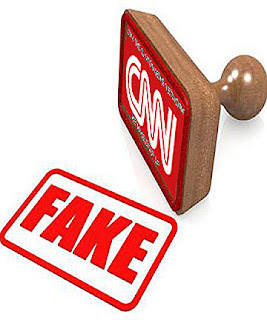 But the mainstream media doesn’t care about the truth because they believe people who support President Trump and believe in God are irredeemable deplorables. “Don’t let your Catholic school’s students wear MAGA hats on a field trip for the March for Life,” The New York Times columnist Ross Douthat wrote on Twitter. 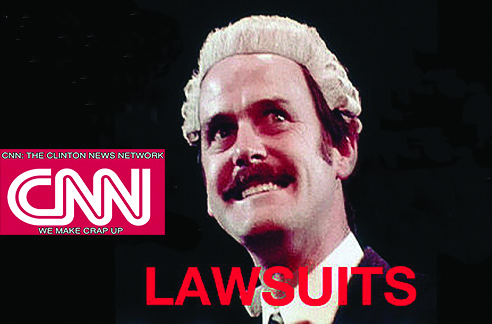 As a result of the media coverage, the students and their families have been terrorized and publicly shamed. Some students were identified and targeted by leftist activists. 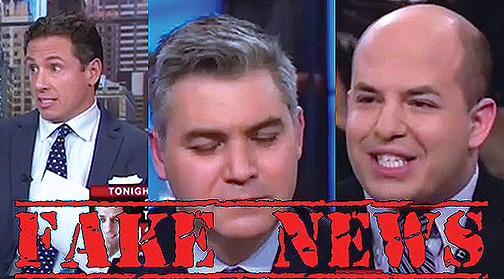 And now, thanks to irrefutable video evidence, we know that the entire story was a hoax – a flat-out lie.